Walking in, this looked like a basic cafe much in need of some modernisation, but that just added to the authentic nature of the place, along with a few metal tables and chairs down the one side and a little counter on the other. 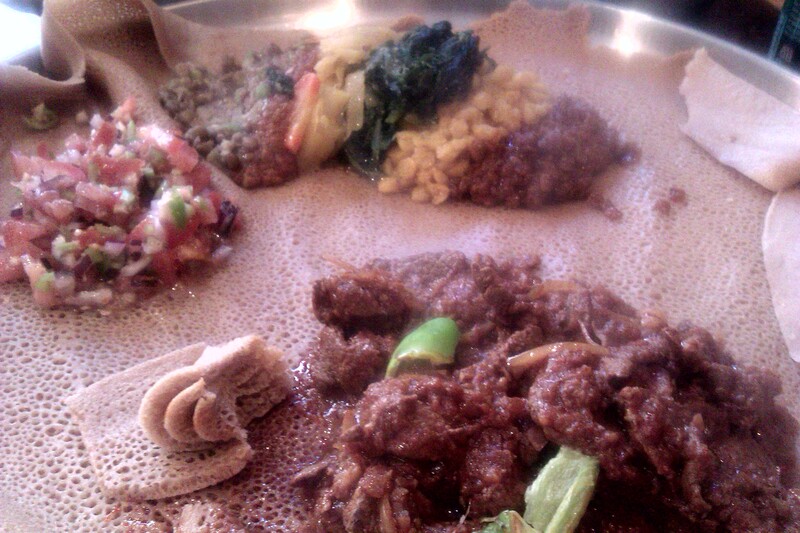 This restaurant/cafe seemed like proper, traditional Ethiopian cuisine. Our dishes – a selection of vegetarian dishes and spicy lamb bits (not sure if this is quite how it was titled on the menu), came with a side salad, all served on a massive pancake, with extra pancakes. Eating the food with our hands we did wonder whether they were testing whether we would ask for cutlery, but we came to the conclusion that this is just the Ethiopian way! Service 8/10, food 9/10, environment 6/10. 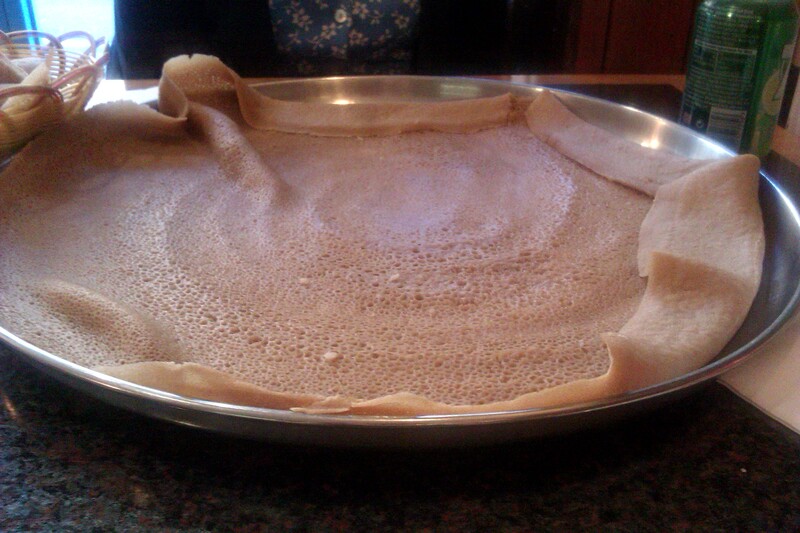 This entry was posted in Uncategorized and tagged Dining, dinner, Dinnergeddon, Eating out, ethiopia, finsbury park, Food, London, pancakes, st gabriel by dinnergeddon. Bookmark the permalink. I love Anjera (the pancake)! My husband introduced me to it, its something his family eats a lot! Love the picture! So good – want to try and make some myself!